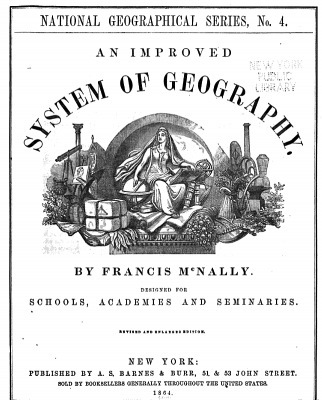 My colleague Sam Kinsley has raised some questions about the uses of blogs by academics, reflecting on his updated list of Geography-related blogs. He discerns a pattern whereby there is a tendency for blogs to be used primarily as “conduits for personal research”, not so much as conversational mediums that convene collective knowledge production. Via Twitter he asked a few people what we thought about his observations, so I am going to say out loud a more or less random collection of things that having ‘A blog of one’s own’ have taught me over the last few years, including some ideas that I aired a couple of years ago in a session at the AAG on social media use in geography. (One thing I should say straight away is that actually, I’m still not 100% sure about how to use all the widgets available on WordPress to post responses to Tweets about Facebook posts that you might want to re-blog as well as generating email alerts). My starting point for thinking about all this is a remark by Louis Menand, writing in The New Yorker a few years ago now, where he described a blog as “a means of sharing your pet peeves and off-the-cuff theories of everything with the entire planet”. 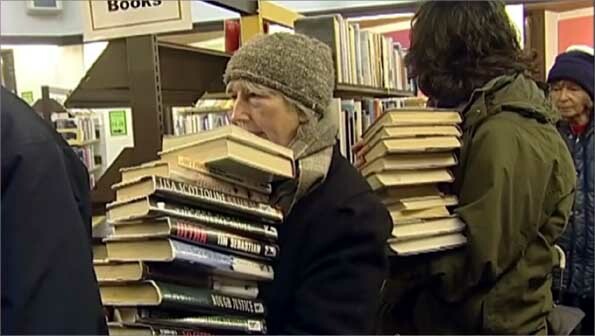 He contrasted blogs with books, which have a longer time horizon, and rather more substance as a result. Various people objected to the characterization, but it seems fair enough to me, and it certainly fits with my sense of my own attachment to this blog. There is of course a line of thinking about blogs as terribly exciting spaces for creative thinking. Some people think that they are zones freed from the ‘policing’ function of conventional academic publishing; the rise of Speculative Realism has been presented as a model for blog-centric philosophical innovation (i.e. the blogosphere as a space for the validation of philosophy as ‘Making Things Up’). There are over-theorised accounts of the significance of blog culture; there are more sober and realistic accounts, like the one by Melissa Gregg that Sam cites; there are serious models of the role of blogging and other social media as mediums both for extended academic communication and for public engagement. All I want to do here is try to articulate what’s in it for Me, because of course, blogging is all about the ‘Me’. This blog has existed for almost 5 years, which suddenly seems a long time. It is not, I should say, the most important thing in my life. Although I have blogged about some of the most important things in my life, like the birth of my children and the death of my parents, because it is about Me. I had been a reader of blogs for a while before 2010, not least from 2008 and the blog-mediated excitement of following the 2008 US Presidential election. I started the blog mainly because I acquired an iPhone, and it seemed like having a ‘smart’ phone required being familiar with some of the smart things it could do for you. A couple of people at the OU, Scott Rodgers and Kellie Payne, had tried out blogging in relation to their work and I think I was encouraged by their examples too. The impetus for taking blogging more seriously was two weeks of paternity leave in February 2011 (I know how this sounds, trust me), during which we spent most of our time sitting in front of the TV, zonked out, sleep-deprived, watching the news – it was the two weeks when it all started kicking off in Tunisia, then Egypt, then Libya. The great thing about an iPad is that you can read, even write, one handed while also holding a small baby (I also realise this might be easier for the non-nursing participants in the post-natal childcare adventures). So I started reading various other blogs where theory-people were doing instantaneous analysis of the Arab Spring, and began re-blogging, re-tweeting, and writing little comments on all this. Those things seemed to generate more attention for the blog, and so did a mention for Pop Theory on CritGeogForum. At that point, more so than before, I think I began to have a sense of a not-so-imaginary community in which Pop Theory circulated. That actually changed how I approached it somewhat – knowing that not just anyone might be reading what you write about, but it might be read people who you might know personally or at least share the same professional space with, has a certain sort of disciplinary effect. My blogging activity has also altered since I left the OU and started work at Exeter, because the things I have been doing ‘at work’ have shifted: I am supposed to be writing a book at the moment, so any spare writing-time I have I feel obliged to give to that task, whereas before, I was in a heavy course production period, which was fun, but meant that the blog served as a kind of outlet for otherwise squeezed ‘research’ ideas, and also, I had a professional excuse for learning just how social media worked because we were making online modules for the first time. The point of all that is to indicate that, for me, at least, blogging has been a part-time, more or less accidental activity, something I have invested energy and thought in at certain times more than others. But blogging is not what I do – Stuart Elden has a line, I think in an interview, saying that he blogs about his work, not that it is the primary medium for his writing, which captures it well. The main thing of course about having a blog is that you can say what you want, in principle, without going through the tribulations of peer review. Which means that the things you write on your own blog don’t have the same value as those you write in peer-reviewed journals or in books and book chapters (it’s called Pop Theory, not Properly Thought Through Theory). All of which is simply to say that Pop Theory is the trace of my becoming inscribed into newish digital worlds (isn’t blogging actually about Naughties?). So here are my 5 Uses of a Blog, the 5 things I find myself telling myself are the worthy reasons to keep going with an activity which actually, most of the time, seems like a distraction about which I should probably feel a little guilty. 1). It’s about Me. I use it to project my own work, and some half-baked ideas too, but especially to publicize new publications, that sort of thing. Blogging strikes me as best thought of not as a conversational medium at all, but as a form of micro-broadcasting: it’s a way of ‘getting things out there’, alongside other platforms like Twitter and Academia.com and the like. There is nothing to be ashamed of about this. There is a serious point here though, which is about how we imagine academic life as a collective project actually works. I’m not sure this is best modelled on the to-and-fro of dialogue at all. The collective, and also the public, aspects of academic life are dependent on what we might all once have called ‘time-space distanciation’ – mediums of storage that facilitate the construction of anonymous publics. This is even more the case in a world of tags, and search engines, and citation indexes, and so on, than before. So in principle, to go back to Sam’s observations, there is no reason why a wholly ‘Lone Wolf’ vocation should be thought of as standing in tension with collective knowledge production at all. 2). Having a blog can serve as a means of constructing ‘a college of one’s own’. I have actually developed some unexpected conversations because of this blog, although the primary medium for these have been email and then face-to-face contact, not the Comment functions of the blog itself; in a way, I think a blog like this is just an extension of having a personal webpage on your department site. 3). I do think of this blog as an aspect of my own extended mind, a scrapbook of sorts, a kind of one-stop-shop where I can recall various things I might have read, or thought, or re-tweeted. Of course, I also have two offices (one at work, one at home) piled with books and papers and illegible notes, so it’s not quite a one-stop-shop at all. But I can see how a blog can serve as a way in which one can curate one’s own on-going thinking. 4). I’ve already mentioned this, but perhaps the main use I have made of this blog is a way of learning about social media – I know about Twitter and Facebook mainly because of this blog. I have learnt that “If you build it…”, then it doesn’t mean “They Will Come” at all. They might. But who knows why. I have learnt about the vicissitudes of attention. Way back in 2011, there was a moment when the traffic to Pop Theory went through the roof, but this seemed entirely to do with the fact that a few weeks before, I had posted a short piece on Derek Parfit’s new book, which I had not read and didn’t actually have anything to say about (that was the point of the post). Parfit was profiled in The New Yorker that month though, and obviously anyone Googling ‘Derek Parfit’ seemed to be getting links to my blog. An example, I guess, of the degree to which the attention you can generate through a blog is not necessarily anything much to do with the substance of what you yourself have to say. I have learnt that Titles Matter: see What are the humanities good for? and Cultural Geography is Dead! Pop Theory also has a regular stream of traffic from searches for ‘Swindon+roundabout’, for no other reason that I might have mentioned that topic once; as well as from searches for former Liberian leader Charles Taylor, who of course shares a name with a philosopher of some note who I have also mentioned occasionally. These are examples of how the attention generated by blogging – that is, the public-forming dynamic of this ‘medium’ – can be rather passive, accidental, if not entirely random. 5). I remember when I started this blog I had an idea of using it as a medium to develop my ‘writing’, a theme that people such as Lauren Berlant and Les Back have discussed. I have found this aspect rather disappointing, although certainly enlightening. I have mainly discovered that I have no innate writing ability at all. It turns out that it’s really difficult to write interesting stories, to find a beginning, and to end properly, about things that seemed to be interesting to you in your head or in your own experience. Which might be why I am an academic in the first place. In short, Pop Theory is not quite a hobby, since it has accidentally become more of an aspect of my work life than I expected. It’s about Me. It might also be one small part of a culture of sharing, which is a good model for collective life after all, a much better model certainly than other practices, such as conversation or dialogue. Sharing only makes sense if things are separable. And individualism is underrated. Re-blogging a re-blog from Progressive Geographies, the latest issue of Dialogues in Human Geography is currently available on open access. Includes a section on academic blogging and public geographies, and also a debate section revolving around an intervention by Kevin Cox on the relations between critical realism and Marxism in and around geography (Blur or Oasis? The Beatles or The Stones? The Beatles and the Stones?). 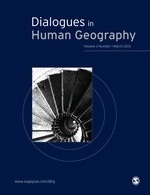 The new issue if Dialogues in Human Geography contains a forum on public geography and social media. The articles are currently open access. The section focuses on geography, but the issues discussed relate to broader discussions around public engagement and communication in research. As is usual with this journal, the forum contains a feature article, some responses and a reply from the authors of the feature article. This particular forum is built around a feature article on ‘Public Geographies through Social Media‘ by Rob Kitchin, Dennis Linehan, Cian O’Callaghan and Philip Lawton. Their article describes their attempts at using a combination of blogging and Twitter to communicate their research. There are six responses, these include my own piece ‘Public Geography and the Politics of Circulation‘ (which is currently open access). I’ve posted about this previously. I was conferencing last week, at the annual meeting of the Association of American Geographers in LA. I was involved in two sessions, the first a panel discussion, organised by Scott Rodgers and Rosie Cox, on the uses of social media by academics, including reflections on how blogging, tweeting, and Facebooking can be used to carve out some new spaces of communication with academic and non-academic audiences. The second was on the theme of ‘defining the contours of a new 21st century critical urban theory’, a series of paper sessions organised by Chris Baker and Justin Beaumont. I presented a paper to the title of Where is the action? in which I tried to articulate some of the problems, as I see them, with prevalent approaches to critical urban theory, and critical spatial theory more broadly, and to say too something about some alternatives ways of proceeding. My paper was an attempt to articulate the whole arc of an argument that links, in my head at least, a series of pieces on urban theory, democracy, on ‘ethics’, on ‘class’, and other themes which I have written over the last two or three years (and have therefore already trailed on this blog), as well as some thinking done while developing an online Masters CPD course on critical spatial theory. So, the paper is rather allusive, shall we say. Anyway, in the spirit of the first of these sessions, I thought I may as well post up the paper I presented in the second session – it will also be linked on the Things to Read page. This is the written paper which I spoke to at the conference – it has no references, although I imagine it as full of invisible hypertext links to other things I have written and to lots of things other people have written. I guess I’m thinking that since I said this all out loud at the conference, there is no good reason not to share these thoughts with the anonymous audience that may or may not be out there reading this blog – and to share it in much the same spirit as one does a ‘live’ conference performance, as a work in progress, awaiting further elaboration, and open to comments and questions…. I blog, therefore I am what exactly? When is an academic blogging an academic blogger? Here is Alex Marsh with some sensible observations on the limits of ‘academic blogging’ hype. 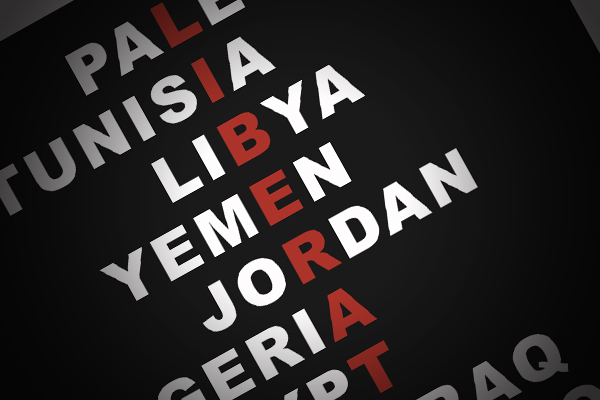 I have a short comment piece now published online in Geoforum, which discusses various different academic responses to The Arab Spring – amongst media theorists, leading lights in ‘Continental philosophy’, and anthropologists and other social scientists. It’s an attempt to raise some questions about what we have come to think Theory is, as revealed by academic public commentary on these ongoing events – contrasting a version of Theory practiced as the imposition of pre-disposed theoretical frameworks on the world, and a version in which theoretical ideas are thought of as somewhat more accountable to the contingencies of the world. Avid readers of this blog (that’s you, Michael) might notice that this piece works over some more or less random thoughts already articulated back in February and March. Accidentally, this Geoforum piece became part of the experiment with this blogging-thing, as a way of turning a public-ish scrapbook into a slightly more honed piece of academic prose/analysis. Following my post on the reporting of events in Egypt, Alex Marsh sent me a link to this think-piece by BBC correspondent Paul Mason, Twenty reasons why it’s kicking off everywhere, which seeks to draw some general lessons from recent protest events in places as diverse as Greece, Ireland, North Africa and the UK. The piece has since been published in The Guardian, and has attracted some attention, not least as indicative of a BBC policy of encouraging journalists to engage in more detailed discussions via blogging. Mason’s piece treads between a focus on ‘technology’ and a more interesting discussion of some of the sociological aspects of this range of events – the emphasis on the role of young, relatively highly educated people is surely correct. There is an inevitable journalistic emphasis on the newness of all of this, and the default assumption remains that this is really a story about how ‘technology’ transforms the conditions of political action. The geographer Tim Unwin has a list of various reports that address what he himself calls “the agency of mobile ‘phones and the use of social networking environments over the Internet” in shaping political upheaval in Tunisia, Egypt, and beyond. His last comment is important: “Much research needs to be undertaken on the real role of ICTs in these ongoing political processes. What seems apparent, though, is that many participants do indeed believe that these technologies are helping them achieve their objectives.” A certain view of the potential of digital communications is no doubt an important part of the ‘spontaneous philosophy’ of contemporary activism. Likewise, Mason’s think-piece refers in passing to how “activists have read their Chomsky and their Hardt-Negri”. I’m not so sure this necessarily means “they have a better understanding of power”, but in so far as it is true, it does certainly mean they are likely to have a particular, well-formed view of how power operates, for better or ill. But it seems to me that both of these aspects of activist self-understanding – of ‘communications’ and of ‘power’ – are more interesting if they are understood as internal dimensions to this form of organisation, without requiring anyone to affirm the ‘objective’ validity of either of these views of how political action unfolds. The focus on the importance of new media in much of this reporting and commentary allows a narrative framing in which politics is rooted in a generalised but unformed sense of ‘grievance’ rooted in ‘poverty’ and ‘oppression’ which is then given expression by new communications opportunities – Manuel Castells neatly summarises this narrative in his comments on all this. In short, there is a particular concept of the mediating work that ‘media’, old and new, perform in much of the commentary on the role of social media and digital technology in contemporary politics – they can be ascribed so much importance by virtue of being attributed a merely mediating function. Amongst other things, what disappears from view from this perspective is the different practices that different communications technologies help to configure – twitter and facebook are playing different roles in contemporary events in the Arab world to that played by Al-Jazeera. While much of the commentary out there is about how new media changes how politics is done, my sense is that the real imperative behind much of this kind of commentary is the attempt to understand the changed conditions under which news is made, and indeed, the changed conditions under which academic expertise about complex situations can be articulated in real-time (and there might be interesting elective affinities between certain self-understandings of activism and the focus of media reporting on individualising effects of new media). For an antidote to some of the more detached commentary on events in Egypt and Tunisia, there are some interesting debates going on amongst anthropologists, which provide much more depth of understanding than is found in much of the technology-focussed discussion. There are a couple of more circumspect reflections on the role of media in these political events. One of these pieces makes the point that the focus on the new mediums of political change is a recurrent feature of reporting and commentary on these types of dramatic political events: “This is an evergreen story…The interest that’s focused on social media now, ten years ago was focused on web portals, before that it was focused on email and list-serves, before that it was television.” And in this respect, there is an interesting archive of reportage and commentary on the protests around the contested Iranian election in 2009, described by some as a ‘twitter revolution’, which two years on is an interesting case-study of how the global news narrative of politics as technological expression unfolds and then unravels over time.